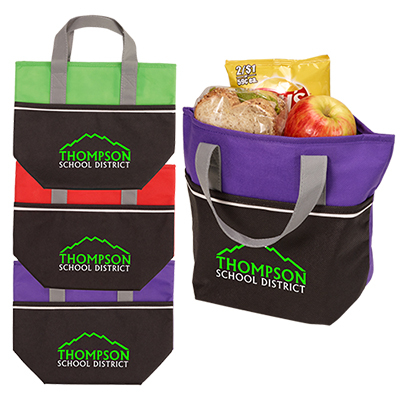 Customized Two-Tone Insulated Lunch bags can serve as lasting reminders of your brand! Each lunch bag features PEVA lining and 2 separate insulated compartments that keep food fresh longer. It also comes with a mesh side pocket for holding a bottle. 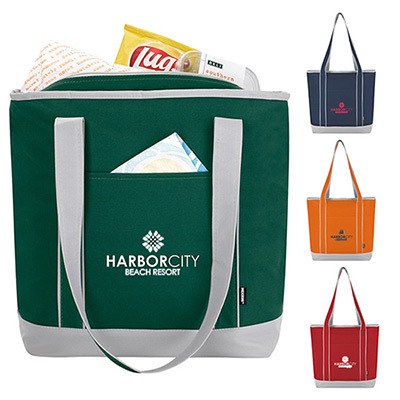 These lunch bags are great to hand out as ‘Thank You’ gifts to employees or as complementary gifts to customers. 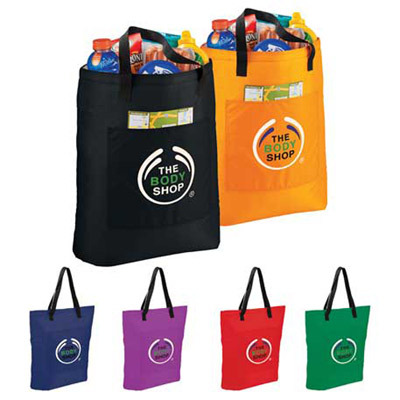 Place an order for these customized insulated lunch bags and gain your brand some major exposure! 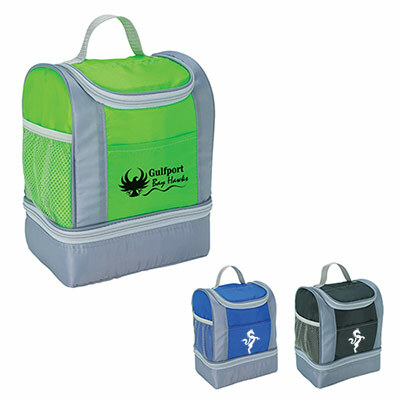 An insulated lunch bag at an unbeatable price!